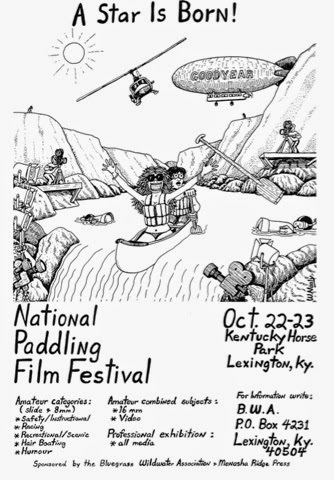 NPFF: A weekend in review (dirt bag style) by F.Wes Breitenbach | DBP MAGAZINE ONLINE The World's Best Free Whitewater Publication. 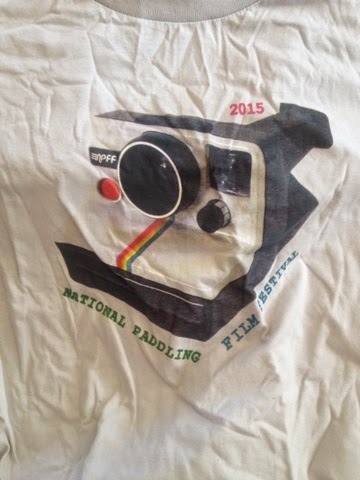 With my work done and my interest peaked I made the last minute decision to saddle up and head north into the wintry unknown to experience the National Paddling Film Festival. Purchasing my ticket online saved me five bucks! Already coming in under budget! 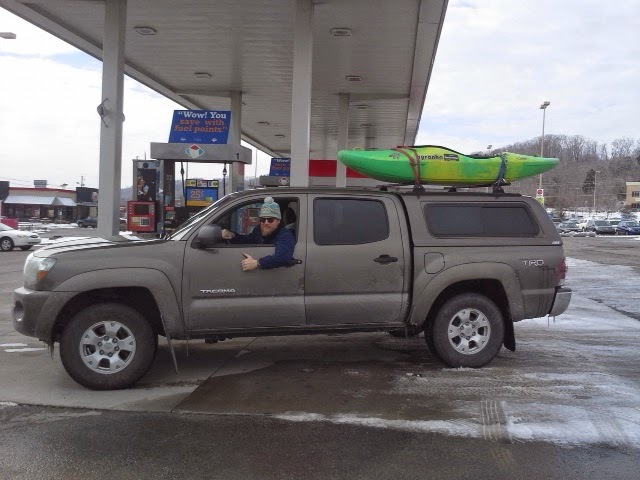 I filled the “the dirty brown taco” (my truck) with gear and strapped “your girlfriend” (my boat) to the top and set off. 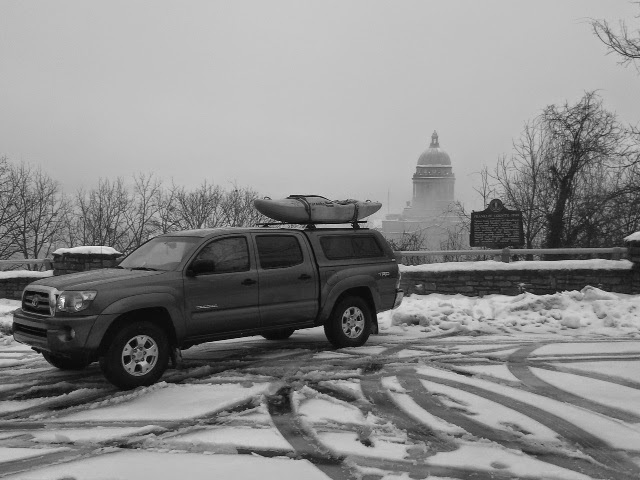 Frankfort Kentucky would be the destination for a paddler throw down and some prime urban bootleg camping! After getting gas and food supplies, radar was checked to confirm the incoming storm. It looked stormy. 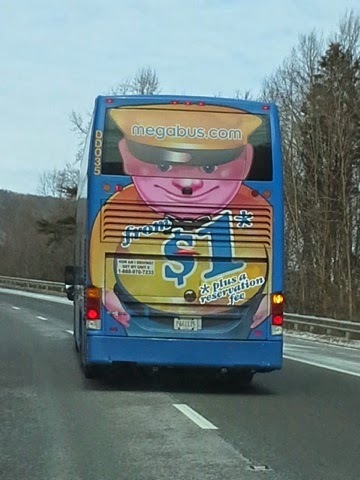 The ride up was mostly uneventful with the exception of the Megabus that was sporting a character with an oddly placed back-up camera. Now, I could go on about how awesome the films were. I could tell you how friendly and pleasant everyone from the attendees to the NPFF staff, the vendors and even the distillery staff were. 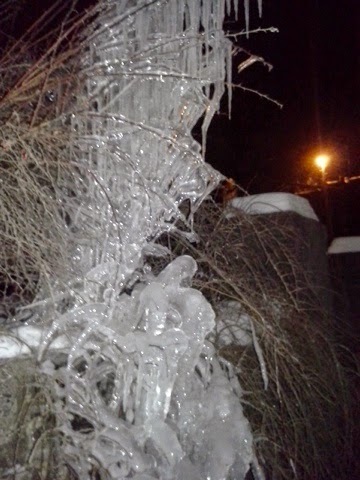 I could talk about the weather and the frozen rivers. I never got to take “your girlfriend” out. I might be able to summarize how cool the weekend was by telling you all the inside action that took place in, around and after the main event, but why, you got to earn that ticket! I will tell you that if you have been, then you know how much fun it is! And if you haven’t, just go already! Instead of the typical report I thought I might try something a bit different. When I found out that paddling was not going to be an option I thought about checking out the town. And so I did! 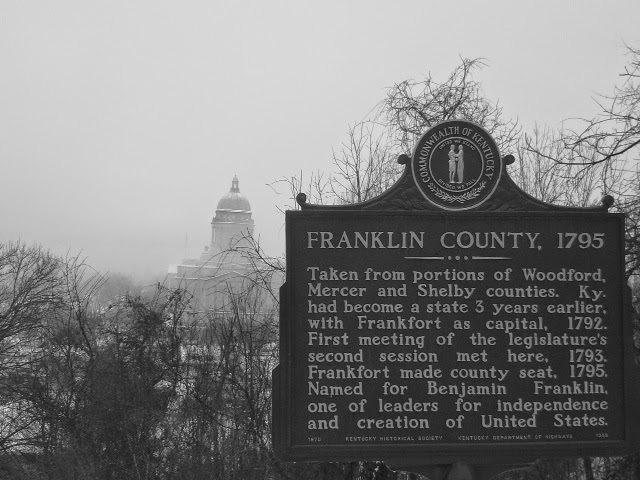 The city of Frankfort is a cozy place with little hustle or bustle. It reminds me of my own small hometown. 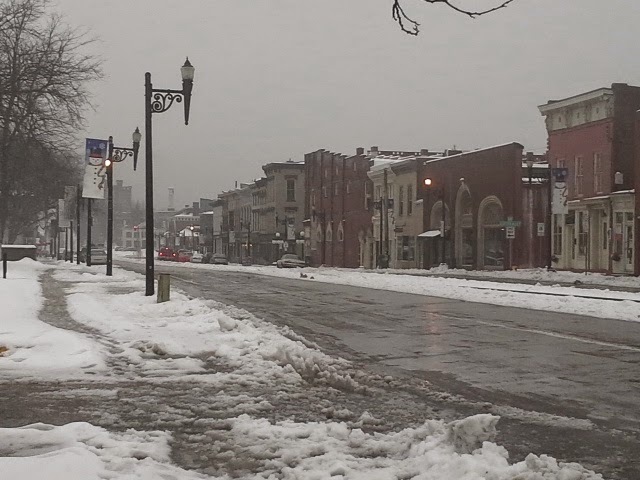 The quaint downtown, with its fascinating mix of architecture, compiles styles from the 17, 18 and 1900’s. It is rich with historical buildings and stories of prominent residents and guests. 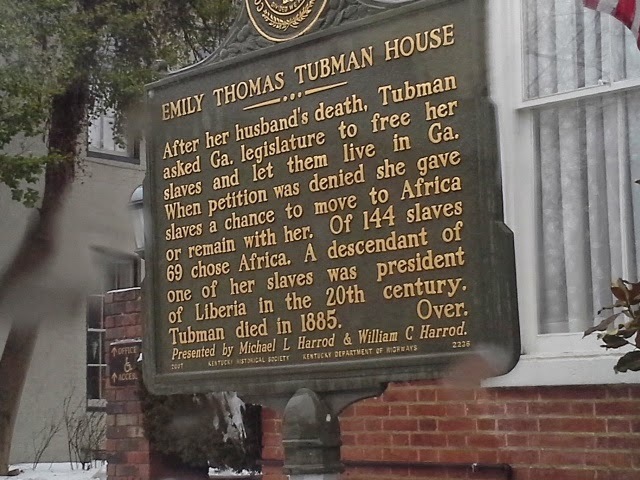 One I found particularly interesting was the Emily Thomas Tubman house. In 1836 (pre civil war), wanting to free the slaves she inherited from her late husband’s estate, she gave them the choice to be returned to Africa or stay with her. Around half returned to Liberia where their descendents live today. 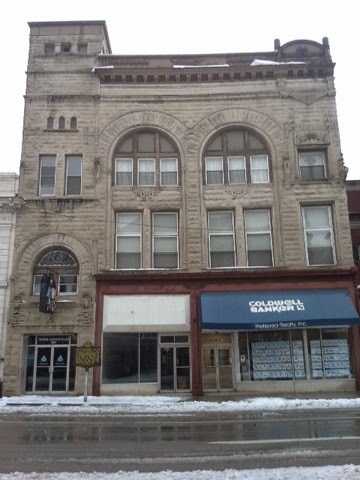 The Gothic revival style of the Masonic lodge is just as mysterious and cryptic as you would want an old lodge to be. 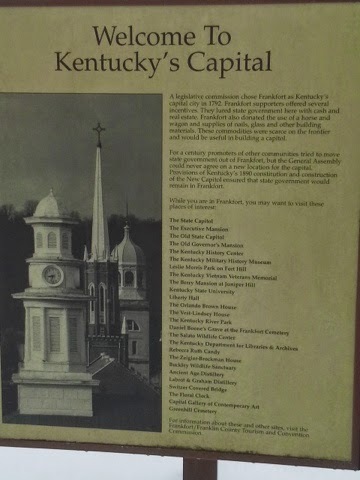 Wandering the streets of Frankfort it’s hard not to pass a historical marker; some blocks have 4 or 5! 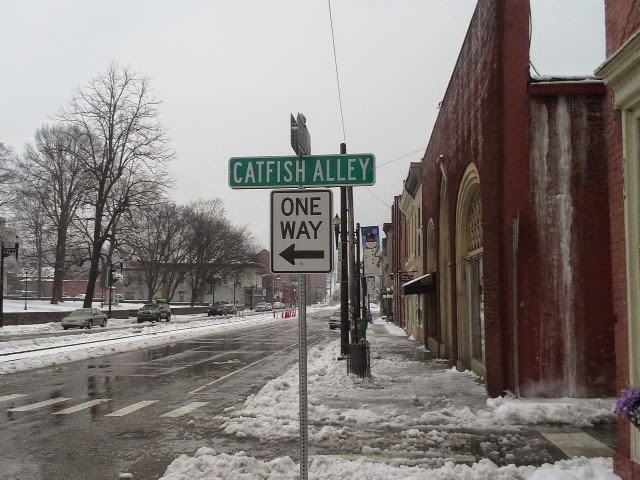 From powerful political women, traveling presidents, many paddle sports enthusiasts, multiple visits from explorers Lewis and Clark and dignitaries; throughout our nation’s history many have walked the little known streets of this great little town on the Kentucky bourbon trail. So, while some of you may have chosen to stay home to avoid the weather, others braved the dangers of winter driving to share their passion for the water, the friendships, the love and truth! This doesn’t make one better than the other, it just makes us different. 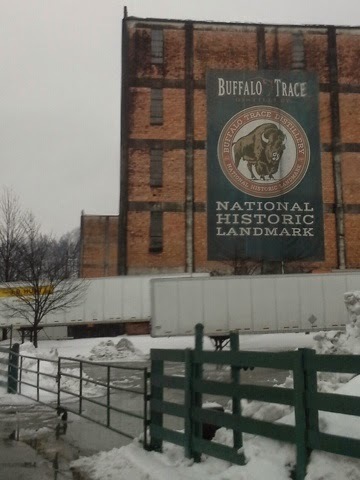 Just as my day of exploring the history of this city may not be as exciting to some as tastings in the distillery, but that’s what made the weekend so great, everyone together yet doing their own thing and living the dream! See you in the real world Dirt Bags!